Customers with their own laptop or smartphone, etc. 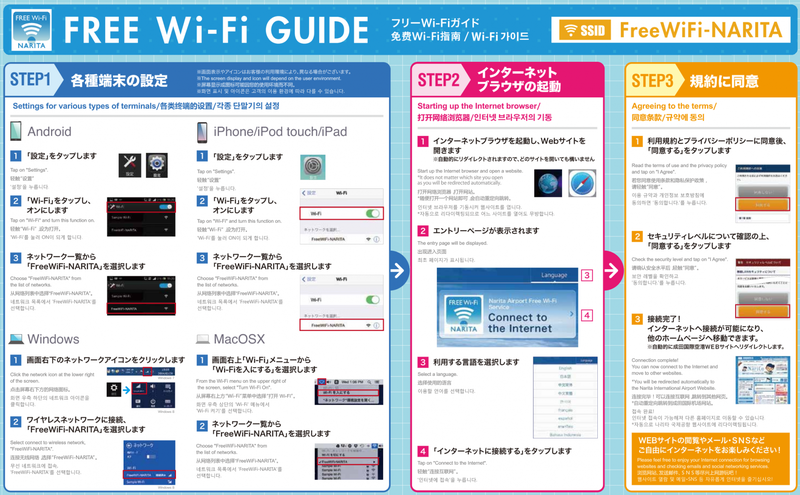 can make use of Narita Airport Free wireless LAN network throughout Terminals 1 and 2 and 3. Access procedures are as follows. 1.Select the network, FreeWiFi-NARITA, on your laptop or smartphone. 3.Follow the instructions on the screen to connect to the internet. ※This service does not use security measure such as WEP key.